Goldfish are common household pets. A common goldfish in a small tank or even a bowl is such a familiar sight that it's practically a picture-book image in our society. This website is intended for those of us taking their first steps into the wonderful world of goldfish. 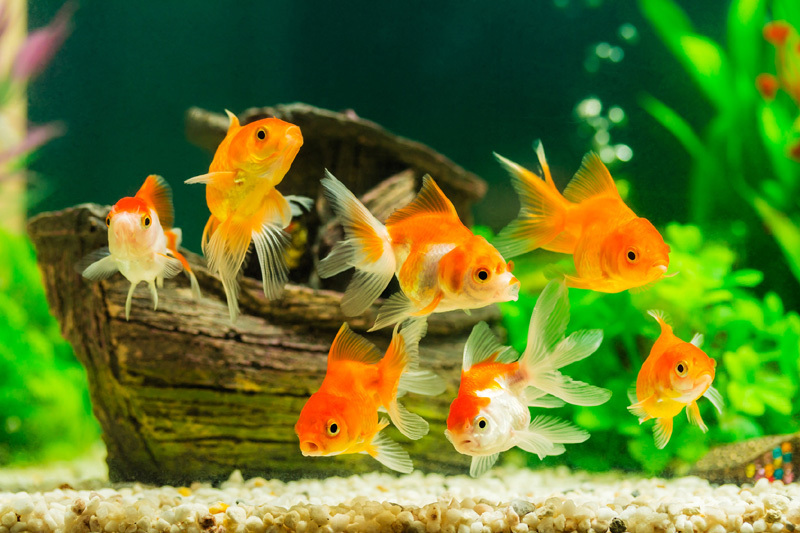 It will tell you a few interesting goldfish facts and take you through the basics of goldfish care. Common goldfish are hardy creatures that can survive even in less than optimal conditions. Purebred goldfish are more delicate and require a higher level of knowledge and expertise. That is why many goldfish lovers start out with the hardier common goldfish. However, even with common goldfish, if you wish to have happy and healthy goldfish there's a lot to learn and implement in goldfish care. Goldfish owners need to know about proper nutrition for goldfish, water quality and temperature, and tank settings. Goldfish care is not too complicated and it can be enjoyable. Learning about it is part of the fun. In this website we will bring you some basic goldfish care tips. We urge you to expand your knowledge by reading books about goldfish as well as visiting other goldfish websites on the net. Copyright©2004-2016 Goldfish-Care.com. All rights reserved.